“Stories,” a social media app feature that allows a photo or video to be viewed for only 24 hours, has grown in popularity over the last several months and businesses and brands have been jumping on the new opportunity. Snapchat first introduced the stories feature to their mobile app users in 2013 and other social media platforms soon followed. Three years later, Instagram added a similar, but enhanced story feature and made it available to their 1 billion users (Statista). Facebook, most recently, has done the same. Despite receiving a maelstrom of criticism for replicating their competitor, Instagram, and their variation of stories, has risen to the top of the social media chain. Instagram reaches 400 million daily active story users worldwide (Instagram) while Snapchat has less than 200 million (Business Insider). Instagram’s established user base for their stories feature, its ease of use, and continually updated features directly contribute to its growing popularity. Snapchat’s interface and sporadic updates have been confusing and clunky for users, helping boost Instagram’s rise in popularity. Instagram is a social media platform that users are comfortable navigating and it is this attention to usability that keeps users active on their stories feature and people are catching on. In fact, a vast majority of celebrities, influencers, and brands (all of whom already have an established user following on Instagram) use stories as an additional component in enhancing their engagement with followers. There are lessons to be learned from their widespread use of stories. 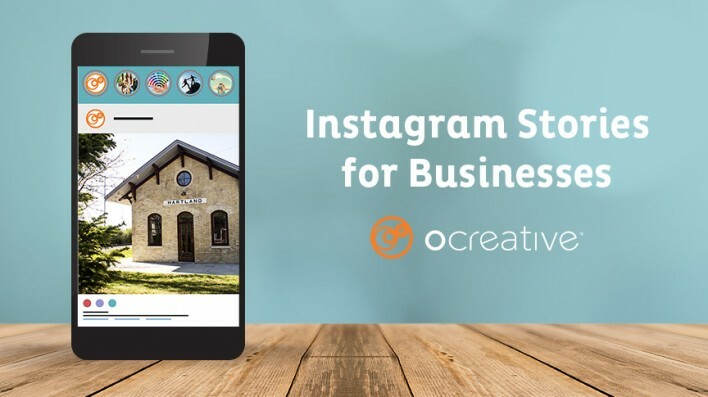 Instagram has better search functions, explore options, and tools to better connect with current and new followers which is why we consider their stories platform the most important for businesses to engage with in today’s social media marketing landscape. Instagram Stories is a feature on the social media app that allows users to post photos or videos that last only 24 hours. It also incorporates new engagement features such as location tags, polls, and links. Users can edit their content with a number of filters, stickers, text, and even hand-writing to further personalize their message. This content appears in the stories section of a user’s Instagram profile (currently located at the top of the app view) and can be easily viewed by clicking the profile picture of the user’s story they would like to see. This content does not appear on the poster’s Instagram profile or in their followers main Instagram feed. The 24-hour nature of this content makes it both exclusive and continually fresh for users. Why use Instagram Stories for Business? As the stories feature continues to grow in both active users and features, so do the opportunities for businesses. Instagram Stories has proven to be an effective marketing tool for businesses when optimized correctly. According to Instagram, of the 400 million accounts using Instagram Stories, one-third of the most viewed stories come from businesses, and one in five stories gets a direct message from its viewers. Instagram Stories are completely discoverable, meaning people who do not follow a business can still see their posts, giving their brand the opportunity to reach new customers. Consistent activity on Instagram Stories increases brand awareness and allows a brand to remain top-of-mind. Location Tags: In the sticker feature, users are able to add their location onto the video or photo they post in their stories. This allows users to click on that tag and see exactly where their location is. Additionally, the location-tagged post is put in that location’s Story Ring, allowing it to reach more people and become more discoverable. In fact, posts with a location tag see 79% more engagement (Adweek). Hashtags: Similar to location tags, there are also story rings for hashtags. Users should include popular hashtags in their stories to be more discoverable and appear to more users as they search those popular hashtags. Links: Users with verified accounts can add links to their stories to drive traffic to their website. Users should get creative with content and add an arrow or any other imagery to direct people’s eyes to the “swipe up” text at the bottom of the screen. Brands that use links in their stories see a 15-25 % swipe-through rate (MarketingLand). Tagging: Tagging users in stories can strengthen the existing relationship between a business and their audience. When businesses tag a user that has posted about their product on their Instagram profile it can make the tagged user feel valued and shows the company recognizes their engagement as important and meaningful to the brand. Polls & Questions: Adding a poll or question sticker allows users to engage with a company’s content while providing them with important insight and feedback. There is a character limit so questions should be concise. Users will not take part in the poll or question if the text is too long or confusing. Behind the Scenes: A popular and engaging story idea among businesses is to show what is going on behind the scenes. Businesses that show their audience the new things they are working on or that offer special sneak peaks make their followers feel special which gives them a sense of exclusivity from people who are not following the brand. Personalize: Instagram Stories is all about connecting with people and giving them an inside look into someone’s day to day. People will relate and connect to brands much faster if they can put a face to the company and hear the passion behind their brand. 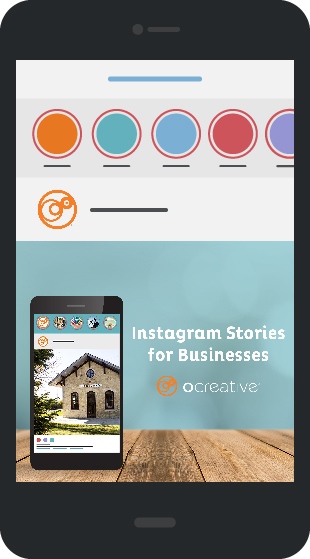 Advertising: Instagram allows businesses to advertise on stories by placing an ad in the story feature. When users are looking through the story roll of the users they follow, an ad will appear between the stories for a business. Instagram gives businesses the ability to target ads by reach, video views, traffic, conversions, app installs and brand awareness. As the social media landscape continues to evolve, so should social media strategies. With 400 million active users, Instagram Stories is proving to be the brightest feature of the app. Instagram Stories caters to the desire users now have to feel connected to the accounts they follow. While Snapchat pioneered the “story” idea, Instagram has perfected it for its users and businesses. Utilizing this feature on the app can give businesses new and innovative ways to connect and engage with their target audience. If you are feeling overwhelmed creating a social media strategy, let us help! To maximize the impact of your social media program, we will create a social media strategy filled with engaging content to grow your brand on platforms that work for your company.